Height 5 feet 4 inches. Weight 145 lbs. Complexion dark. Eyes brown. Hair black. Right eye 24, left eye 6. Hearing good. Colour vision correct. Limbs and chest well formed. Full movement of joints. Heart and lungs normal. No illnesses. Free from hernia, varicocele, varicose veins, haemorrhods, inveterate or contagious skin disease. Good bodily and mental health. No slight defects. No fits. This Cornelius HANIFIN was a son of Cornelius and Julia (nee LUCY) HANIFIN. He attended Seadown School. 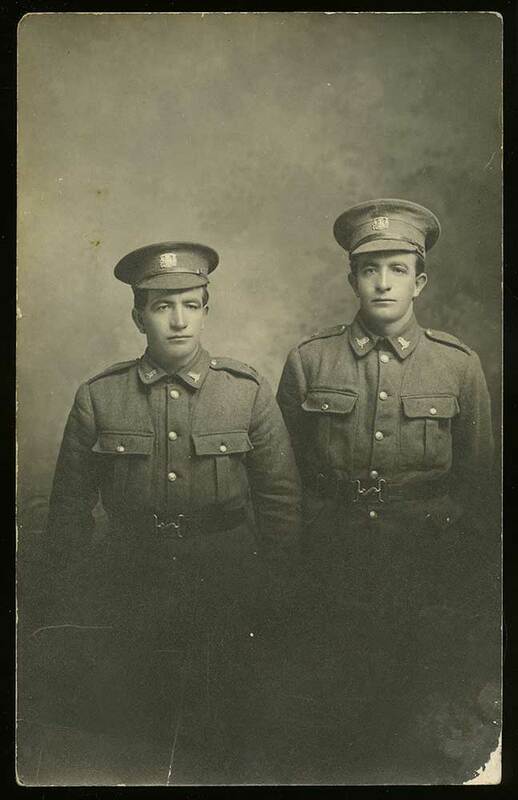 His twin brother Patrick HANIFIN also served in WWI, and another brother Michael HANIFIN, enlisted. Shortly before embarking for the Front and while on final leave, Cornelius had the honour of being groomsman at his sister Mary's marriage to Michael Gallen, in Fairlie on 16 October 1916. After a period of training at Featherston and Trentham, Patrick, his twin Cornelius, and two other men were to be farewelled at a patriotic send-off in the Fairlie Public Hall in October 1916. He was probably a cousin of the other Cornelius (Con) HANIFIN who served. The next-of-kin of Cornelius at his death was his sister Annie. Cornelius's funeral service was held at St Joseph's Church, Temuka. Temuka RSA members assembled at the Temuka Cemetery. Cornelius returned to New Zealand as a nurse in a draft of invalided soldiers, arriving at Lyttelton on 6 January 1918. In January 1918 he was among half a dozen returned men at one of the brightest socials held since the war began in the Fairlie Public Hall. Occupying seats on the stage, they were addressed and accorded a very hearty welcome home, and thanked for their part in the great war, with special note made of the hardships, sacrifices and sufferings they had endured. Cornelius and two fellow returned servicemen were also welcomed home by friends at a gathering at Mr J. B. O'Connor's residence, "Mona Villa", Fairlie, in early February 1918, when there were speeches, good wishes for the future, musical items and the singing of the National Anthem.